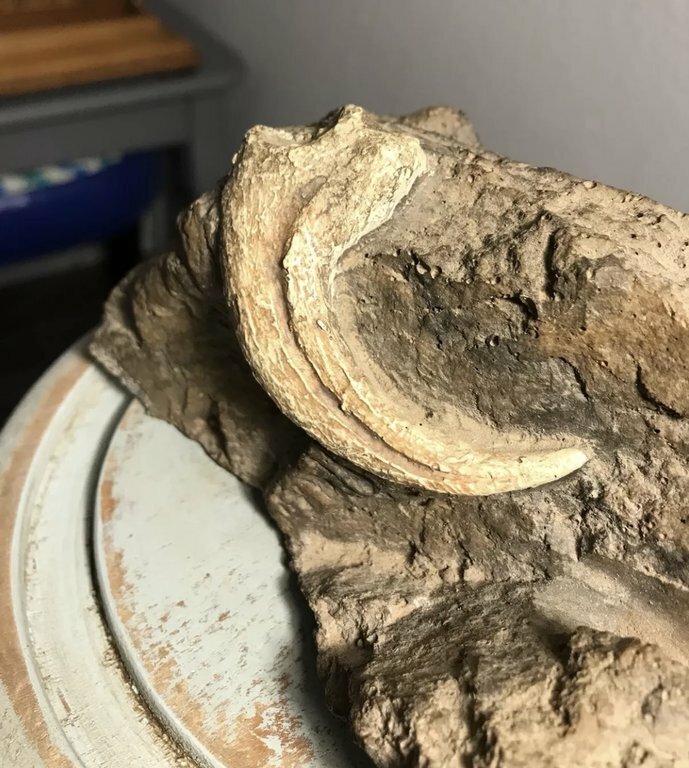 Our favorite auction site has a seller currently trying to sell a rare andsuppisedly real Utahraptor claw! And found in Arizona at that! As of this beware posting of mine, this claw is at around $425 after 13 current bids! It is a cast claw imbedded in a cast matrix Block! 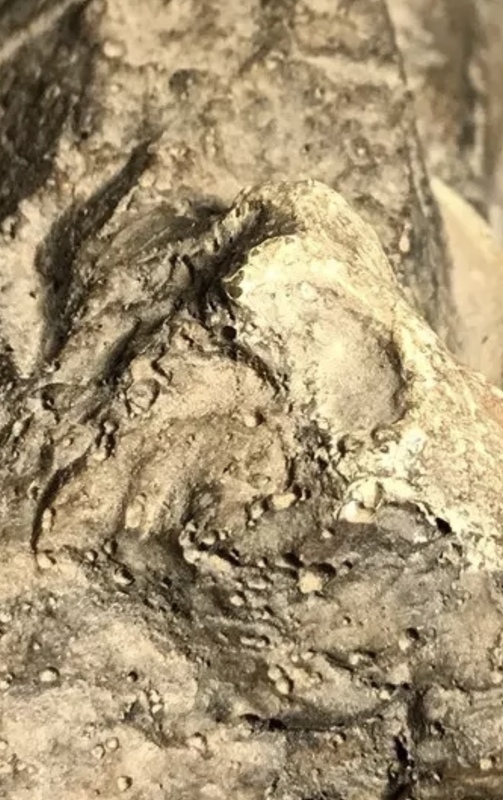 You can see numerous air bubble imperfections in the “matrix” block and there are obvious air bubble holes/imperfections of the articulating surface of the claw. 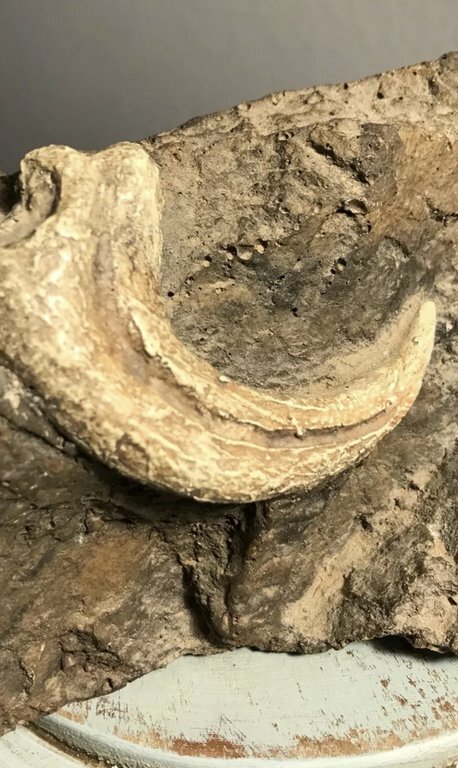 The claw itself is a direct replica cast from, or actually is, of a cast replica hand claw that is seen often online of a Velociraptor hand claw. I don't know what you mean, the resin it's made from looks real enough. Good thread. A nice display piece, but definitely a cast or sculpture. Thanks for posting. Wonder if the seller know what he really has. 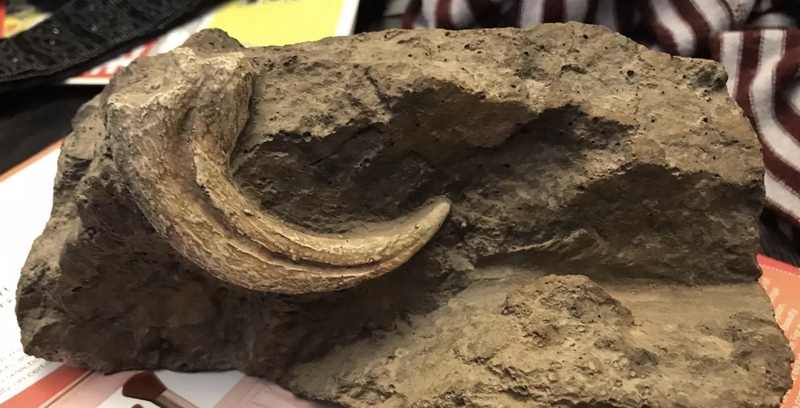 The other fact is that the area in AZ he claims it's was discovered has no Cretaceous exposures and to make matters worse is that he claims it was ID by the Paleontology Department of ASU. to make matters worse is that he claims it was ID by the Paleontology Department of ASU. Seems like a lot of that type of IDing going on lately. Was it the janitor at ASU? From what I know of their paleontology department, I’m 90% he is either lying or contorting the truth. I second you. 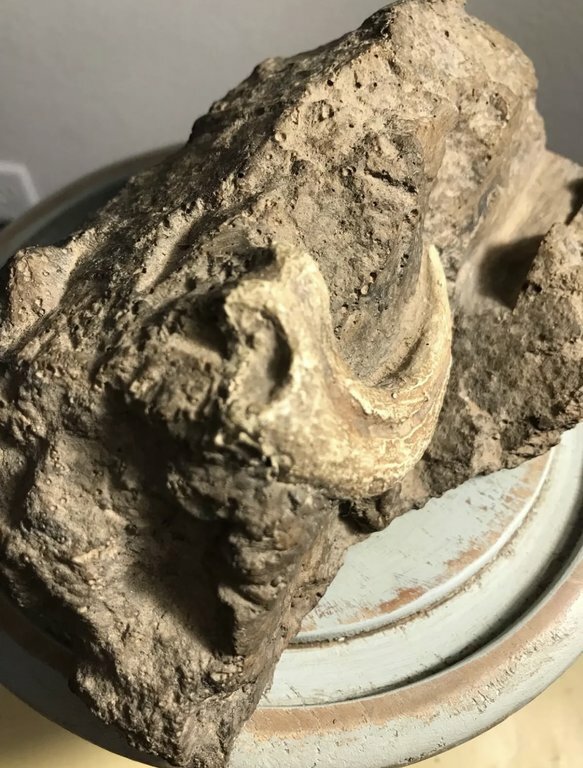 I just assumed that the claw may have been heavily eroded, and I didn't take a closer look in it before this post. Now for some reason even the rock looks fake. Welp, the seller is going to pull the item off the list soon. Apparently, he said that he also realized that this turned out to be a fake, and that he got scammed by the person who sold this to him before. Poor guy. Interesting, poor guy yes but caveat emptor. 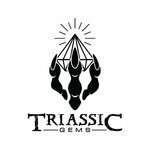 Unfortunately it happens every day, why we have to be diligent in purchasing fossils. How many example of misidentified material do we have to see before collectors get the message not to trust what is listed by anyone. Why its also necessary to be forthright in telling fellow collectors what they have so that the incorrect ID is not propagated. Not easy but necessary. That's sad indeed that the seller got scammed. But good on the seller for pulling it from the auction. Thank you for posting this Henry. I am glad the seller pulled the auction out. Hope he got a refund.